One of the biggest and most ancient lakes of world is situated nearly in the center of Asia in a huge stone bowl set 445 m above sea level. Everyone who has been to its shores is impressed and charmed by the grandeur, size, and unusual might of this Siberian miracle of nature. Encyclopedia data about the lake. Circumbaikal railroad, built in the old Tsarist Russia. 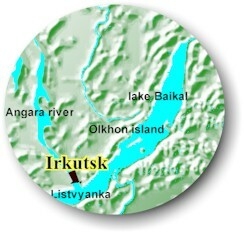 Listvyanka village - is the first settlement for tourists. Earthwatch Institute is an international nonprofit organization which supports scientific field research worldwide to improve our understanding and management of the Earth. "Baikal sunrise" - listen to this music while browsing this website. 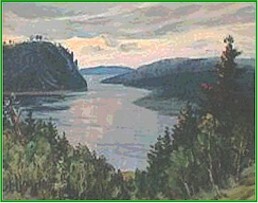 Folk song "Slavnoe More Svyashcheny Baikal"